Five Clever "Knock-Knock" Jokes - I Love These! 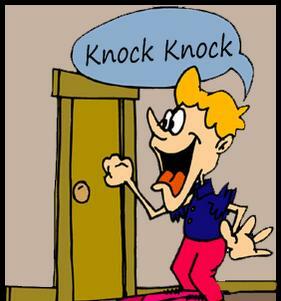 Five Clever ‘Knock-Knock Jokes’ – I Love These! Who doesn’t love a good “Knock-Knock” joke? Sure they’re a cliched form of humor, but they’re also an opportunity for some really clever wordplay! Share your favorite Knock Knock jokes in the comments below!